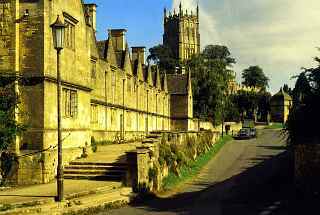 Chipping Campden – Plan a visit in 2018. 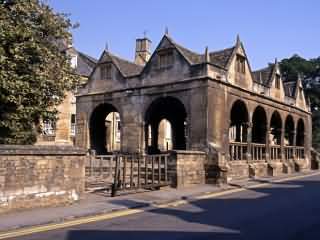 Chipping Campden is a prosperous small town in the North Cotswolds. It owes its elegance to the wool trade. In fact it was one of the most important medieval wool towns and was famous throughout Europe. The word ‘Chipping ‘ comes from the Old English word “ Ceping” meaning market place. Evidence of the Market is clear to see with the marvellous 17th Century Market Hall. It was built by the town’s benefactor Sir Baptist Hicks. It was here in the covered market that local farmers brought their produce to sell – butter & poultry. St.James owes its presence to the flourishing wool trade. Most of the Church is about 500 years old and was built with money from the wool trade. It can be argued that it is one of England’s finest wool churches. A fact that is backed up by being awarded 4 stars in ‘Englands Thousand Best Churches ‘ by Simon Jenkins. ‘In Europe the best wool is English and in England the best wool is Cotswold’ ( 12th Century saying). 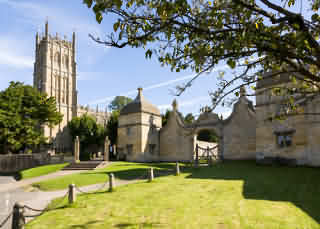 The Cotswolds were ideal for sheep and the Abbeys & Monasteries raised huge flocks. William Grevel was one of the country’s most influential wool merchants, a citizen of London and Financier to King Richard II. 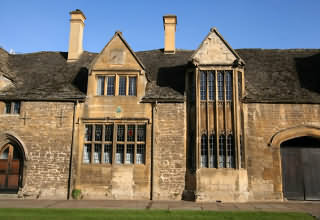 The oldest house in Chipping Campden was built by William Grevel in about 1380. The house would have been one of the first to have chimneys instead of just holes in the roof. 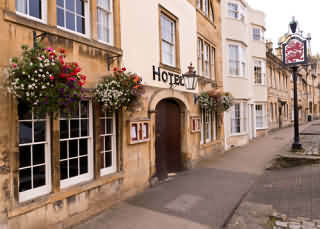 Chipping Campden has become known for its unusual & attractive High Street. The street is long & broad and is flanked on either side by an almost single terrace, made up of many different architectural styles.